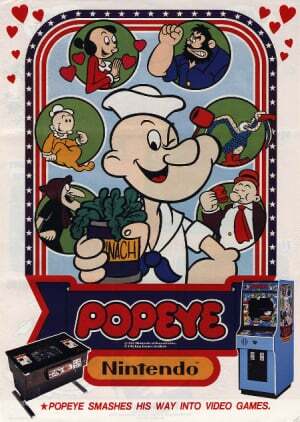 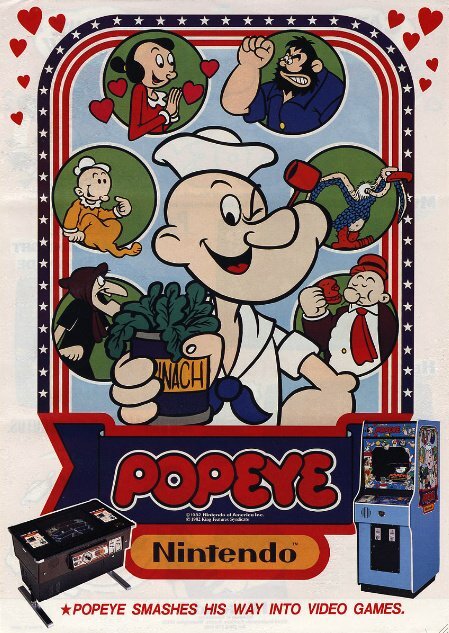 Sorry, no review of Popeye yet. 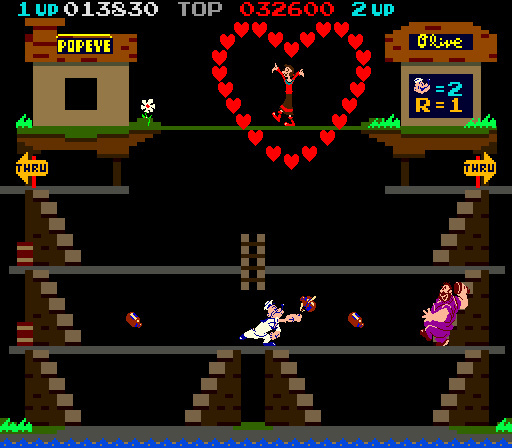 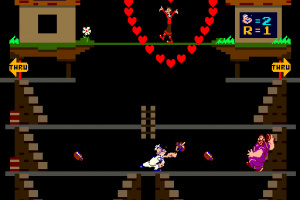 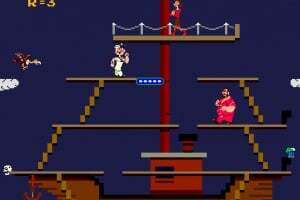 Bluto is after the heart of your true love Olive Oil and it's up to you to capture her affections as she tosses them your way. 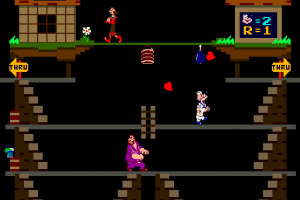 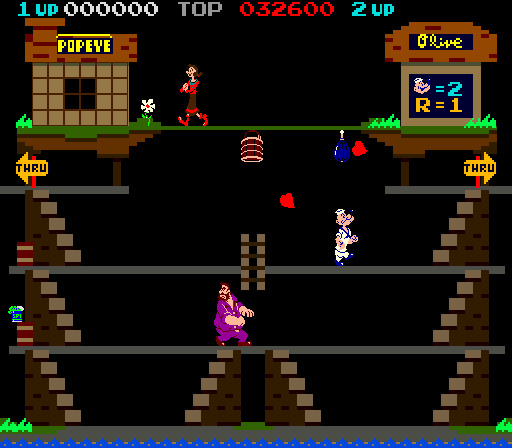 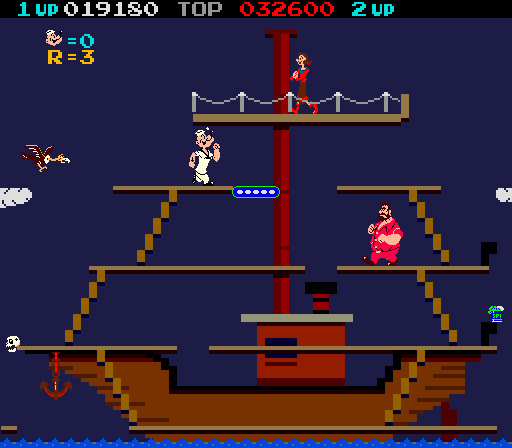 Of course you'll have to avoid Bluto's fists and the Sea Hag's barrage of bottles along the way. 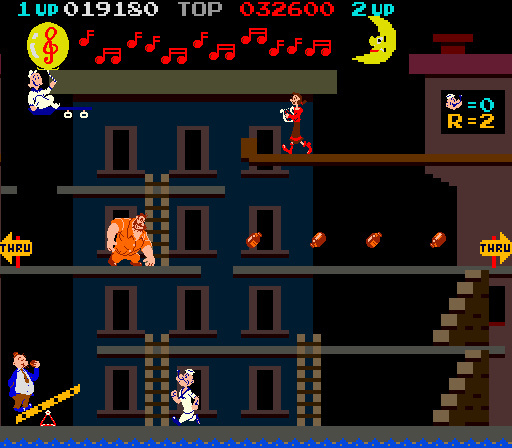 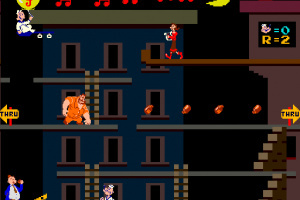 I have more experience with the NES port, but the arcade game was pretty great, too.